Following months of updates focused on fixing bugs and a variety of other issues, Kingdom Come Deliverance is soon going to start receiving additional content, as confirmed by Warhorse Studios today. The team shared today a DLC roadmap detailing the additional content that will be released this year and beyond. Official modding support will also be coming soon. The latest update released for the game is update 1.4.3, which introduced a variety of fixes as well as a couple extras. * Ressurection day is upon us! Some NPCs that died due to the physics glitches have risen from their graves. * Fixed the problem with the Mightier than the Sword quest related to the scribe. * Rattay archery competition works on advanced difficulty. * Fixed save issue in the House of God quest. * Cutscene after the completion of the quest Questions and Answers should trigger properly. * Rattay armorer should no longer get stuck in an infinite sleep behaviour. * Player with an equipped bow can be dismounted. * Fixed a bug with an instant game over in the Trial by Fire quest. * Another 200 major bugs fixed. * Henry can now change his hairstyle and beards in bathhouses. * Unarmed mercy kill added. * Real easter eggs added. Hunt for the golden egg can begin! Also, there is a new Easter-themed weapon to be found. * [Rare] Attacking stops working. 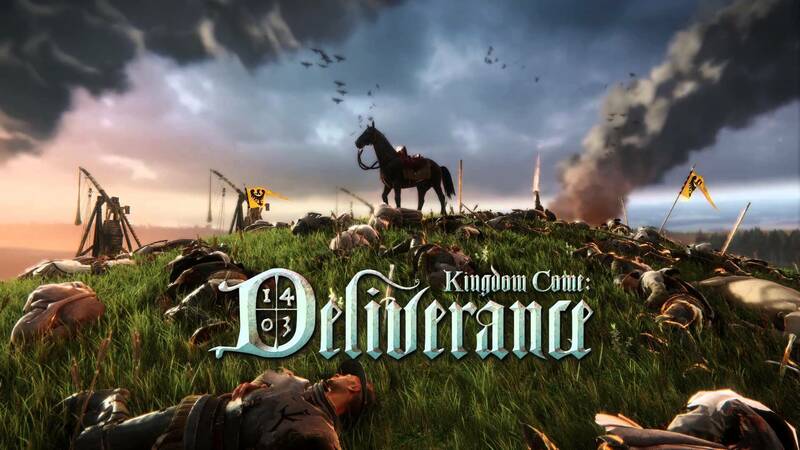 Kingdom Come Deliverance is now out on PC, PlayStation 4 and Xbox One in all regions.